Laura Worth, MSW co-founded BuildingCircles Organization in 2005 to create affordable, nature-integrated, and sustainable human shelter. In 2006 she co-founded LifeSense Institute, a nonprofit corporation dedicated to humanist projects that improve our quality of life. Laura is a seasoned entrepreneur in developing health care technologies companies as well as a Life Coach, skilled in group facilitation and inspiring motivation. Laura is also a web publisher and designer, business coach and mentor, musician, actor, inventor, and Associate Producer for SeaDrift Media Productions. Laura's interest in affordable and sustainable housing and energy solutions compliments her desire to facilitate the creation of both a virtual and "real-world" community of "creative elders." The community she envisions will share affinities in many areas, including the appreciation of these earth-sheltered habitats. In 2003 Laura helped build two large-scale, one-of-a-kind ferrocement installations, designed by her partner, Robert Bornn. Oshonia, at the Casa del Mar estate in Caspar, California, is a ferrocement, sea stack-like "grotto," measuring approximately 18' L x 8' W x 8' H. It is complemented by natural plant growth. The second installation is Ocetus, a ferrocement, scallop shell-like, covered garden bench and wind break. A 30-year veteran of entrepreneurial business ventures. Co-founder and Vice President of four health care and medical products companies. 15 years as a Life and Business Coach, founding Worth Coaching Services where she works with groups and individuals from many walks of life. 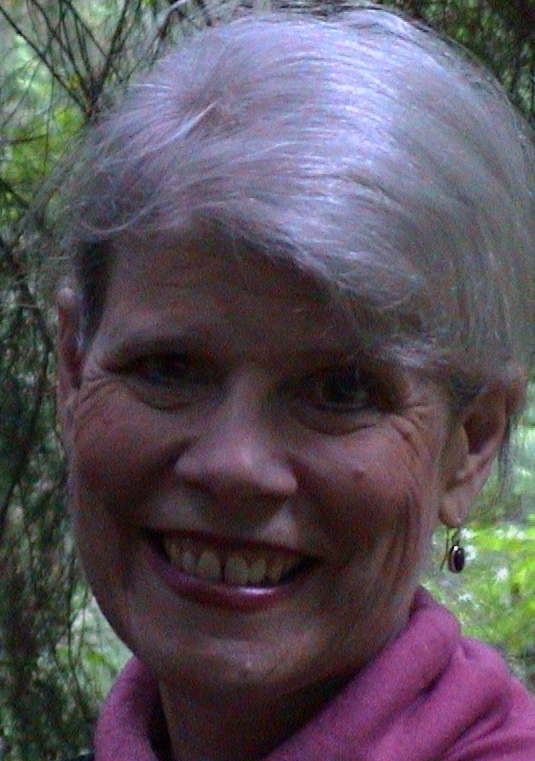 She is trained professionally in psychotherapy and counseling, group facilitation, and teaching. Managed communication with investors and Boards. Wrote business and financial plans, reports, and proposals. Designed, performed and administered market research; managed focus groups. Managed advertising and public relations. Personnel/human resources policy development; hiring, and payroll. Managed budgets, accounting, and legal functions. Developed materials for public health education and corporate client wellness programs. Prepared applications for approval of medical research on human subjects. Prepared FDA submissions for permission to market medical devices. Negotiated, prepared, and managed contracts and licenses. Specializing in web-based, localized directories for neighborhoods and small communities. Specializing in easy-to-navigate sites for artists, small business, solo professionals, and nonprofits. Co-founded LifeSense Institute, a nonprofit corporation to sponsor humanist projects dedicated to improving our quality of life. These projects include the Vashon Energy Project initiated in 2006 and educational support for BuildingCircles Organization initiated in 2005. Co-founded BuildingCircles Organization to build affordable and sustainable nature-integrated homes for independent living. Co-founded SeaDrift Media Productions, an independent media production company. Produced Ocean's Edge-Spirit's Journey DVD and music CD. Guides and supports clients in clarifying personal direction and values, decision-making, and creating life balance and focus. Assists in goals identification and planning (short-term and long-term), motivation and procrastination management, time management, personal and office organizational systems, and other strategies for improved quality of life. Specializes in coaching clients at life's transition points. Offers business coaching, specializing in small businesses and home-based business. Offers life and business coaching in various formats: groups, classes, workshops, one-on-one and two-on-one. Virtual and in-person coaching are both available to clients. Founded Worth Coaching Services to help pioneer the introduction of life and business coaching to the public in 1995. Responsible for WCS's strategic planning, marketing; advertising and public relations; sales; content, methods, curriculum and proprietary materials development; business and financial planning, legal and accounting functions. Authors and publishes coaching e-newsletter and syndicated newspaper column, The Coaching Minute . Co-founded four privately held and financed companies engaged in research and development of proprietary healthcare-related technologies, tools for public health education, and corporate employee wellness programs. Served on their Boards and as Vice President of Operations, Vice President of Administration, Secretary (officer), and also filled roles of office manager, executive assistant, and administrative assistant. Aggregate fiduciary responsibility for corporate budgets totaling $3.7 million. Included two year assignment as Senior Human Resources Assistant. Various other temporary assignments filling the following positions: Executive Assistant to the President and CEO, Executive Assistant to VP of Human Resources, Administrative Assistant, Marketing Assistant. Crisis and long-term psychotherapy using individual, couple, family, and group modalities. Residential treatment center for adults and older adolescents with severe psychiatric disorders. Masters in Social Work (MSW) from San Francisco State University (1983). Training for clinical social work with special preparation for counseling clients suffering from chronic medical illness. B.A. (sociology) from San Francisco State University (1972). In-depth interviews with patients suffering from chronic illness (inflammatory bowel disease); sole responsibility for design and execution of this exploratory ethnomethodology. Thesis for Master in Social Work (MSW). Principal actor and business consultant/mentor for Peninsula acting ensemble, Constance Wise Productions, an acting school and ensemble based in Palo Alto, California. Assisted with teaching and directing students. Co-founder of DIAJ (Drummers in a Jam), a 10-year commitment to building community in the San Francisco Bay Area using community drum circles. DIAJ evolved into a musical performing group specializing in audience participation. The DIAJ ensemble recorded and performed African-inspired, California-grown music in The San Francisco Bay Area. Principal musician (alto recorder) of DIAJ (Drummers in a Jam), performing and recording group. Recorded Pangaea: Old World, New Visions and Mouyami . Co-founder of Big Deal Productions, an independent music production company dedicated to producing DIAJ music. In 1998 co-produced the DIAJ CD, Pangaea: Old World, New Visions. Co-produced Sweet California Ballet (an original performance event with audience participation), performed at Burgess Theater, Menlo Park, CA 1997 and The World Is You, a world music and fusion dance community performance event at Hidden Villa, Los Altos, California in 2001. Principal musician, the SoundMoments duo (performing and recording as a duo with Robert Bornn). Vocalizations, soprano, and alto recorder (improvisational world fusion music); African-style drums and percussion (African-inspired improvisational music). Recorded music sound track for Robert Bornn's film on DVD, Ocean's Edge-Spirit's Journey . Writing: poetry, blogging (From the Rocking Chair), e-newsletters and columns (Bright Moments Coaching and The Coaching Minute), and op ed. pieces. BuildingCircles, LifeSense Institute, AdvancedGreen and Creating affordable and sustainable, nature-integrated homes for independent living are trademarks of Robert Bornn and Laura Worth. Conceptual renderings by Robert Bornn and Nancy Henderson, AIA, LEED, AP. Floor plans by Nancy Henderson, AIA, LEED, AP. Photos by Robert Bornn.